Flip a coin. If heads, all of this Pokemon's attacks do 30 more damage. 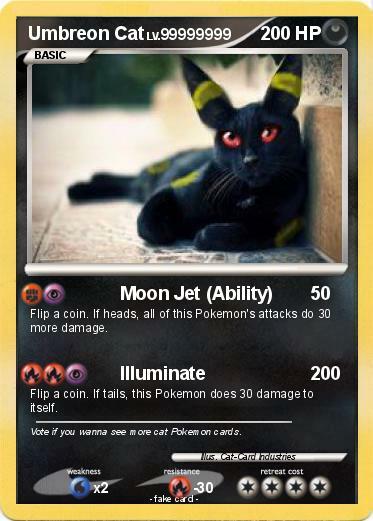 Comments : Vote if you wanna see more cat Pokemon cards.